Many travel enthusiast would say that “Travel is one expense I don’t regret”. I believe in this 100%. Most of us still look for the best bargains or promos so not to break our banks when travelling. This is true especially if you’re scouting for accommodations; may that be for an international trip and most especially when you’re just travelling locally. This was the case when we were looking for a place to stay for our trip in Bacolod. 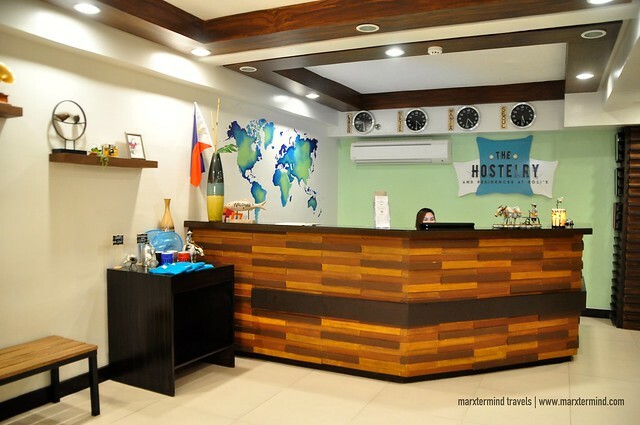 Luckily we chanced upon the first hostel in Bacolod, The Hostelry and Residences at Roli’s located along La Salle Avenue. It is conveniently situated in such a way that it is easily accessible via public transport. There’s a wide range of choices for food in the area. There are several restaurants near the hostel as well as a convenience store. It will also just take 5 to 10 minutes to get to some of the known restaurants in the city. So once you enter, you will pass by Roli’s Café on your left, which is one of the oldest known restaurants in Bacolod. It is open from 6AM to 10PM. They offer several dishes that will give you your fill of the local cuisine as well as local desserts. Their gracious staff manning the lobby will then greet you. The lobby has an artsy feel with all its endearing fixtures. The waiting lounge has a homely feel with its vibrant colour that invites you to sit down and relax after hours of travel. The Hostelry offers a number of accommodation types. There’s the private matrimonial room that is good for two but extra beds can be added. There are private single rooms, for those who want their own space. 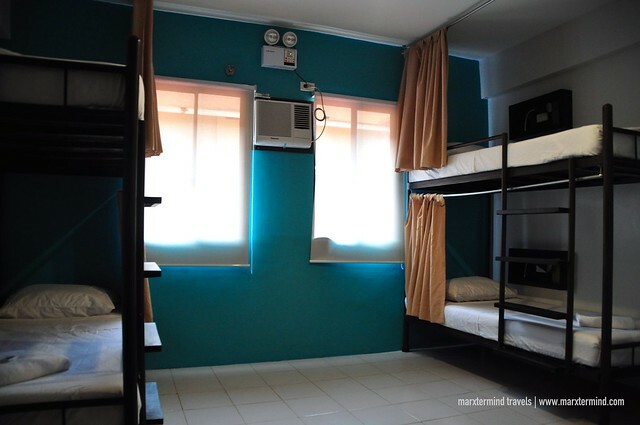 But the shared rooms and bunk beds are gold for those travelling on a budget or in groups but still want their own bed. 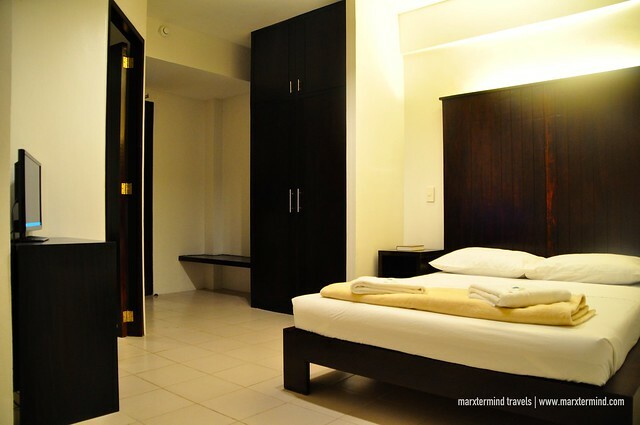 The shared rooms can accommodate 5 people. Each bed has their own private cubicle that has partitions. The bunk beds have curtains in each bed that you can use as a retreat when you want space and time for yourself. These two types of room have a reading light mounted for each bed and locker assigned to each bed where you can store your belongings during your stay. TIP: you just need to bring your own lock and it should be as big as the ones you would usually use for the locks on your door else you won’t be able to close it. We stayed in one of the hostels’ bunk beds room since we were a party of four. The room was really spacious. The room is air-conditioned. It has two bunk beds and cabinets. The room also comes with fresh towels and complimentary bar soap. 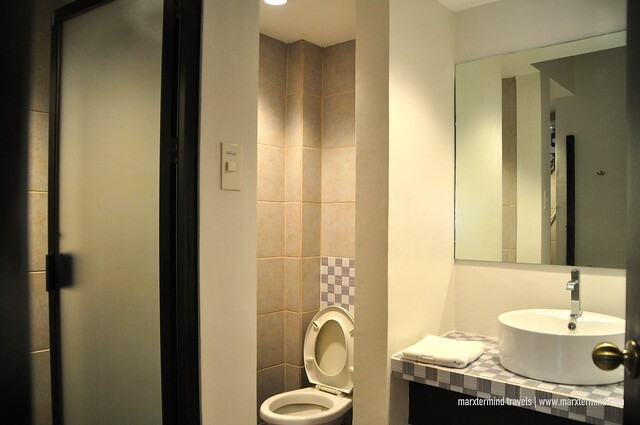 The bathroom is also spacious. It has hot and cold waters for both the sink and the shower area that is really a good find for its rate per bunk bed. 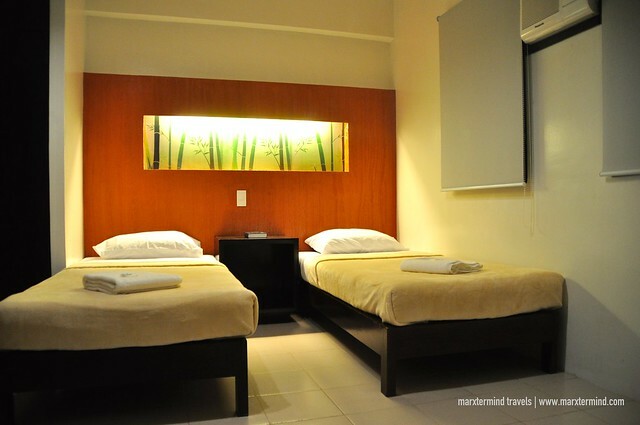 Rate starts from Php 525 per bed per night. The hostel also has a communal area in the 2nd floor where you can lounge in their cosy chairs while maybe reading through their small collection of books and magazines. If you feel like you need some more space, you can definitely hang out in this room while maybe checking on your social media accounts or socializing with other guests. They also have their own media room that guests can use. 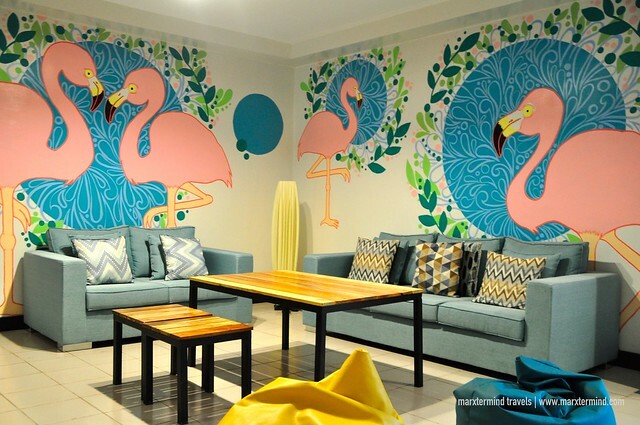 All in all, I can say that The Hostelry should be everyone’s top choice when travelling to Bacolod especially if you are travelling on a budget. 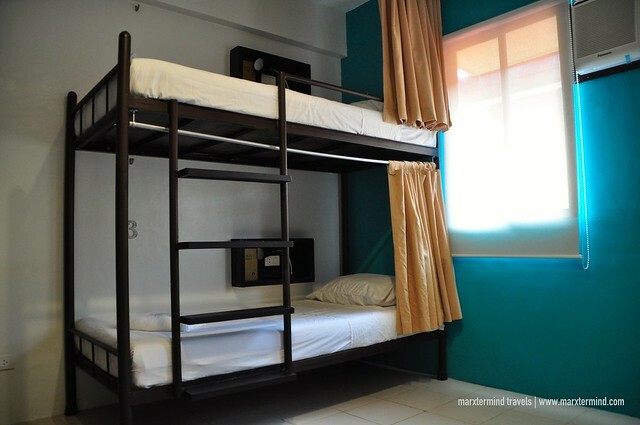 The hostel offers accommodation for a minimal cost with convenience and great comfort. Disclosure: The Hostelry hosted our stay for the purpose of reviewing the hostel. All notes and opinions are our own. The Hostelry looks a high class hotel. Cheap price accommodation but quality service.